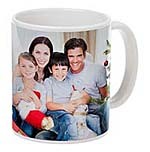 This 11oz. 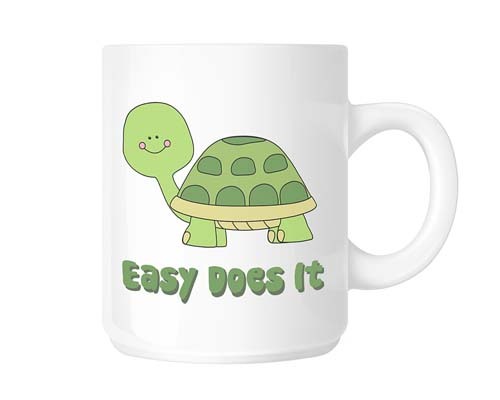 white, ceramic coffee cup is expertly imprinted, right here in our shop, with the cutest turtle ever ...and the phrase "Easy Does It." The turtle knows it's about steady progress!